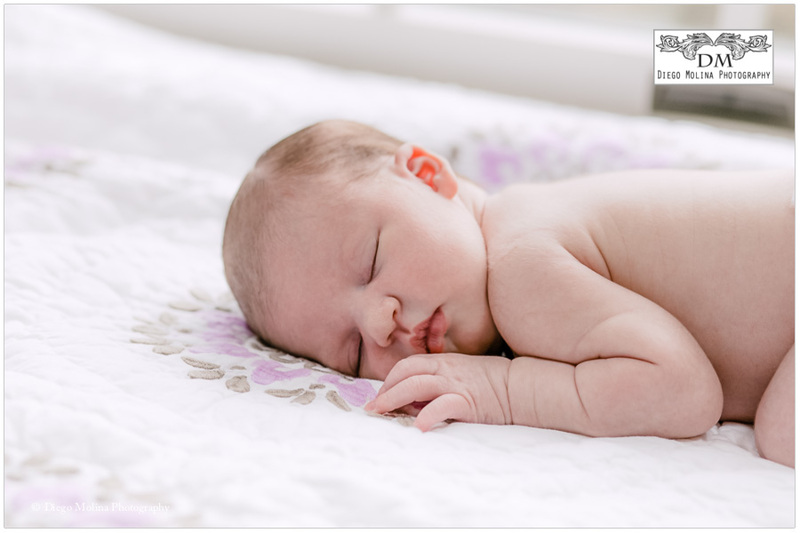 The best part of being a newborn photographer is capturing these beautiful babies during the very first days of their lives. I met this family about two years ago for a family session. It was a beautiful reason, their parents 40th anniversary was coming up and they wanted to surprise for their parents with professional family pictures. Kids photos are the best presents for grandparents; most of us run out of ideas when it comes to presents, however, pictures and especially pictures of your children make the best gift, let alone your grandchildren!. That time, the family photo session was shot in Hoboken. 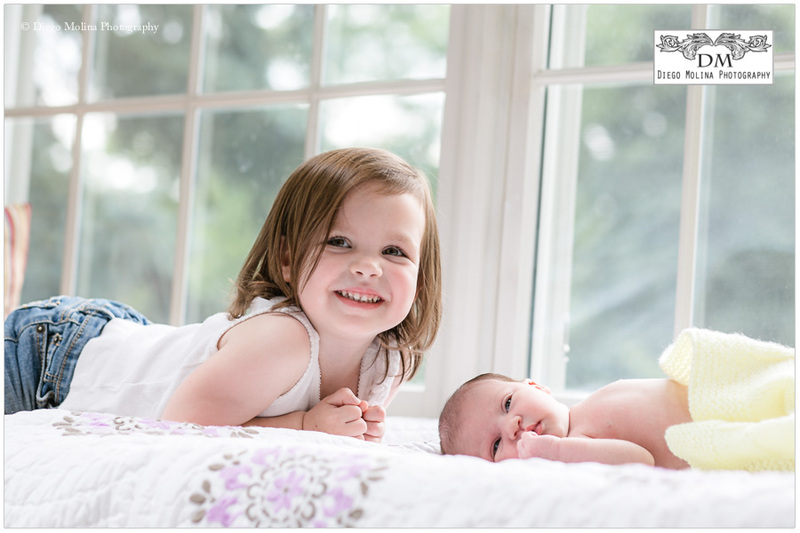 Now, with a bigger family with a beautiful baby girl and a big sister looking to start school soon, we were able to shoot this newborn and family portrait session in their beautiful Upper Saddle River home. If you are looking for a portrait photographer in Bergen County, Diego Molina Photography offers a variety of products including high-resolution digitals, fine-art canvas, black and white portraiture, and luxury family portrait albums. Situated just about 15 miles from New York City, Upper Saddle River is a beautiful borough in Bergen County, NJ. Upper Saddle River has the best location for family portraits, every home in the borough has stunning backgrounds; perfect for family photography. Looking for the right photography area is easy. It is bounded by eight municipalities: Montvale, Saddle River, Ramsey, and Mahwah, as well as small portions of Woodcliff Lake and Allendale in Bergen County, New Jersey, and Chestnut Ridge and Airmont in Rockland County, New York. Diego Molina specializes in capturing timeless newborn and family portraits. 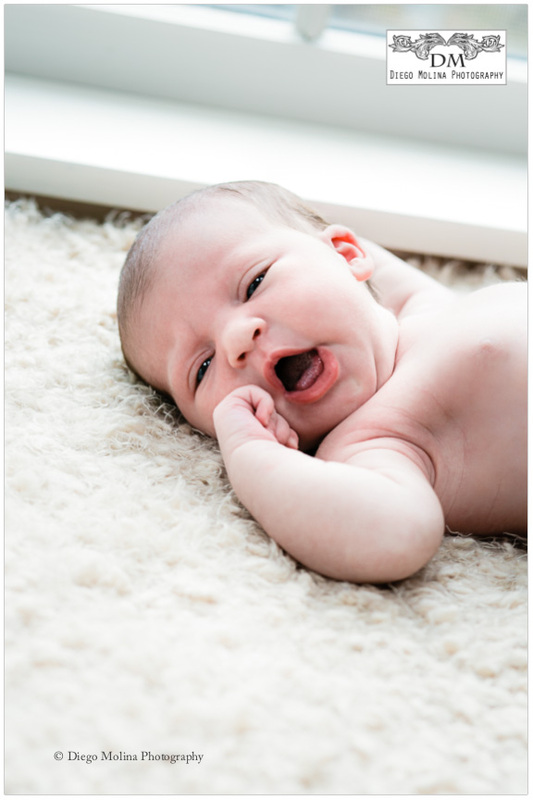 Our studio offers maternity portraiture and baby photography sessions in Upper Saddle River.